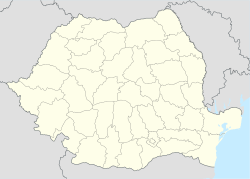 bBucharest metropolitan area is a proposed project. ^ Paris of the east. The Irish Times. 5 May 2009 [14 April 2011]. ^ 2.0 2.1 （英文） INS. Romanian Statistical Yearbook (PDF). [2009-02-12]. ^ Demographia World Urban Areas & Population Projections (PDF). [14 April 2011]. ^ Official data for 2011 census. INSSE. 4 July 2013 [4 July 2013] （罗马尼亚语）. ^ Urban Audit: Bucharest Profile. [14 April 2011]. （原始内容存档于2011年11月8日）. ^ One out of three Bucharest employees is a commuter. 25 August 2008. （原始内容存档于2012年6月29日）. ^ Joint Inclusion Memorandum of Romania. Web.archive.org. [2011-04-14]. （原始内容存档于2006年8月28日）. ^ Săptămâna Financiară | Anchete | Atacul clonelor in taximetria bucuresteana. Sfin.ro. [2009-07-07]. （原始内容存档于2009-02-16）.